If you don’t want to end up ruining your blender, as happened to one of our followers Karen, be sure to read this guide. As soon as Karen got her new shiny blender shipped from Amazon, she eagerly placed some veggies and fruits into the jar and added ice to chill things up. After a minute or so, a strange smell came out of her new appliance, and she shut it off. But it was too late. The motor has gone. A closer inspection of the owner’s manual revealed that blending ice and frozen ingredients is “not recommended”. Turns out crushing ice is one of the most challenging tasks for a blender. It can also be difficult to tell whether a model will actually get the job done, even if the product specs say that it will. 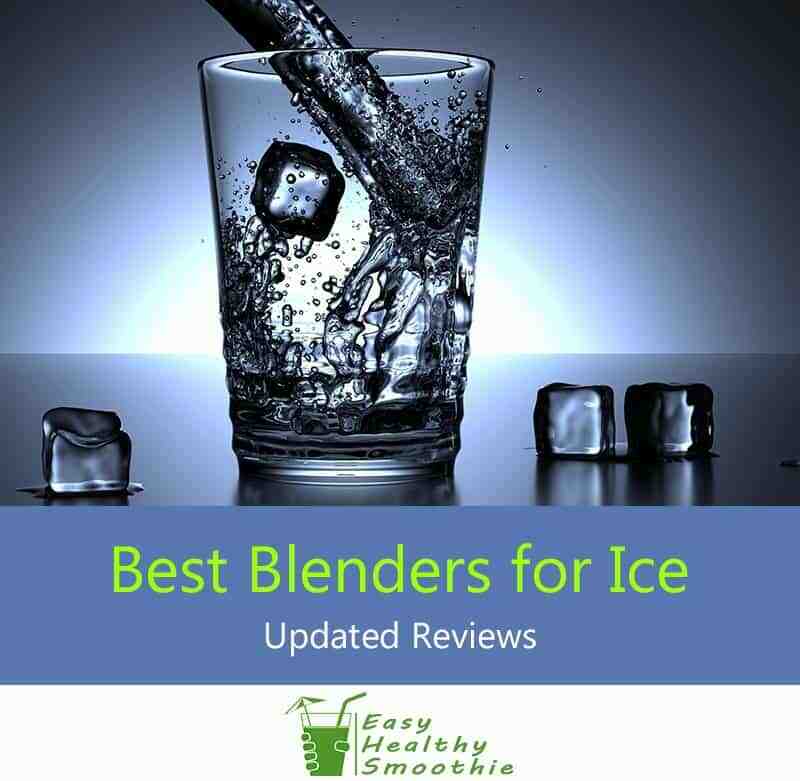 To help you select the best ice crushing blender, I’ve prepared this quick guide on what to look for, and which popular models are recommended. There are several types of blenders including countertop, immersion, high performance and personal (or single-serving) blenders. The high performance and some of the more heavy duty personal blenders are your best bets for handling frozen ingredients. In general you’ll want to select the most powerful and durable machine within your price range - click HERE to see our reviews of a few models at different price points! Chopping ice requires a lot of torque, so it’s important that your blender have a powerful motor of at least 600 watts, but the more powerful the better for this application. Ice crushing is usually conducted at the high-speed setting, so you’ll want to select a blender that has a sufficient speed setting for this. Generally if the motor meets the above power specifications, it will be able to reach a sufficient speed for processing ice. Ice cubes tend to be hard on the blade, so you’ll need a strong, durable blade that’s designed to handle the impact. Dealing with ice can be hard on your blender’s jar, and may crack thinner polycarbonate pitchers. The jar should be durable and made of impact-resistant glass, heavy polycarbonate or copolyester. The top models featured here, all have a pitcher designed to withstand the pressures of ice crushing. Read our review of the Nutri Ninja Nutri Bowl Duo here,it's perfect for ice crushing. To make crushed ice for frozen drinks, slushies, frozen fruit smoothies or frappes, you'd need a relatively strong blender. Check your blender’s instruction manual to see if there are manufacturer-specific guidelines and also to make sure that it’s actually designed for this purpose! It is not recommended to use ice or frozen ingredients, in a blender that's not specifically intended for this purpose. Remove ice from freezer and allow it to sit at room temperature for 5-10 minutes. This step isn't necessary if you use a high performance blender. Fill the jar about ⅓ full with ice cubes. Add fruit juice, milk or other liquid ingredients. A small amount of water can also be added to speed up the process. Place lid on pitcher and press the pulse button 6-7 times in 2-second bursts, or use ice presetting if available. Set blender at high speed for 15-30 seconds. To help churn the ice during blending you can use the tamper (plunger) or gently shake the pitcher. Remove ice once it has reached the desired consistency. If you don’t have a blender, fear not! You can still make crushed ice with a little bit of elbow grease. Remove ice from freezer and place in a plastic bag. Thicker, durable bags designed for food storage work best. Place bag on a wooden cutting board or other surface that won’t be damaged. If starting with whole cubes, strike each cube swiftly with a wooden mallet to break up cubes. Once smaller fragments have been generated, use slower, grinding motions to crush fragments into smaller pieces. Many blenders are capable of processing ice, to various degrees of success. But I’ve picked a few of my favorites at a wide range of price points, so you’re sure to find the blender that’s right for you! The Vitamix is definitely a heavy duty blender and can handle virtually anything edible, so it’s sure to be up to the challenge of breaking ice! Manual controls allow for wide range of speeds but no hands-free blending. One of the higher-priced options, but well worth the money. Very easy to use. Buttons and knobs take more time to clean. 7-year warranty and great customer service. Sturdy blade assembly and high-power motor are well up to the challenge of ice or frozen fruit. Higher price than some other models reviewed. Manual controls do not allow for hands-free blending. To crush ice with the Vitamix, turn the speed up to the highest setting and pulse, using the tamper to push crushed ice down if needed. The manufacturer recommends adding a bit of water, but test kitchens and user reviews report that this isn’t necessary. 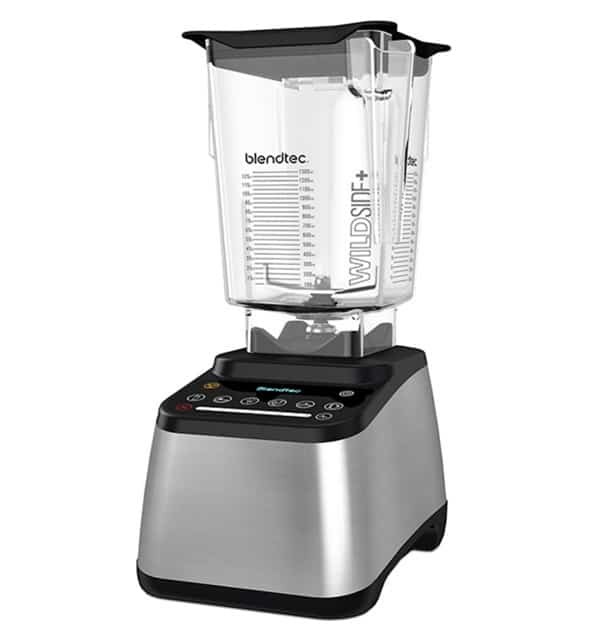 The Blendtec Designer is the Cadillac of blenders! Its powerful motor, innovative “wild-side” jar and cold-forged blade assembly make it highly functional. The Blendtec is also loaded with impressive and useful features including touchscreen controls and pre-settings for everything from icy drinks to hot foods. Several trusted online reviewers have noted it as being especially well-suited for ice crushing. High-performance and loaded with features! High price but also well worth the money. Presettings allow for hands-free blending and the perfect finished product every time. 7-year warranty and good customer service. Great appliance that’s easy and convenient to use. Has an ice crush presetting! Durable BPA-free jar won’t be damaged by ice. Cold-forged wingtip blades are durable and built to last. Lots of crushing power under the hood with a 1560-watt, 3HP motor. Crushing ice with the Blendtec is a snap with the ice crush presetting. Do keep an eye on it during the cycle to make sure that you don’t over-blend! The Oster is a great option if you’re looking for a more reasonably priced blender that crushes ice. Not as powerful as high-end blenders but still gets the job done. Easy-to-use and has a frozen drink presetting. 10-year limited warranty with good customer service. 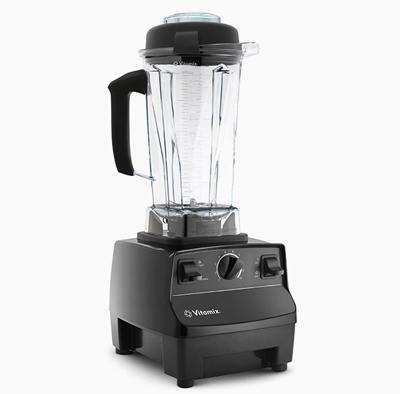 Great blender for the price! Stainless steel 6-blade assembly is durable enough for ice. Dual-direction blade technology keeps blade from becoming jammed. 600-watt motor isn’t up for tougher recipes such as nut butters. Glass jar is heavier than plastic alternatives. To handle ice effectively with the Oster, simply use the “Frozen drink” presetting and you should be good to go! 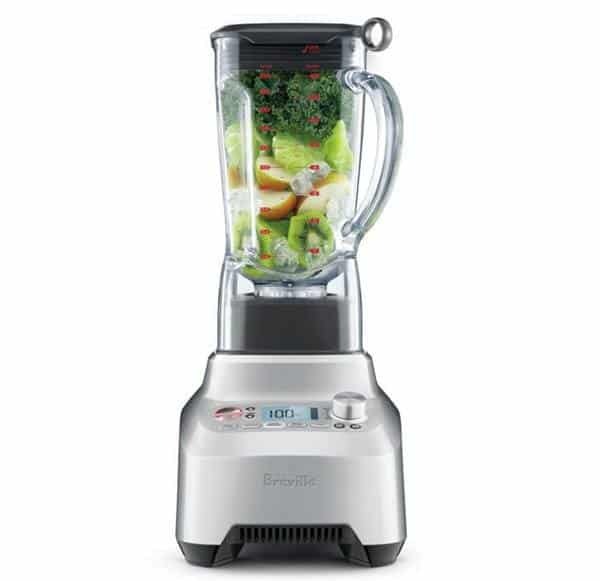 The Breville Boss Superblender BBL910XL stands up well to its high-end competitors, and was rated by test kitchens as being the best ice smoothie maker in comparison to the Blendtec and Vitamix. The Breville actually has two smoothie settings, one for fruit smoothies and one for green smoothies, so is perfect for frozen smoothies! High price point, but worth it! 1-year limited warranty with good customer service. Great blender for frozen drinks! Available in a rainbow of colors, the Kitchenaid 5-Speed Blender is more modestly priced than some of the higher-end options, but is still up to most tasks including crushing ice! 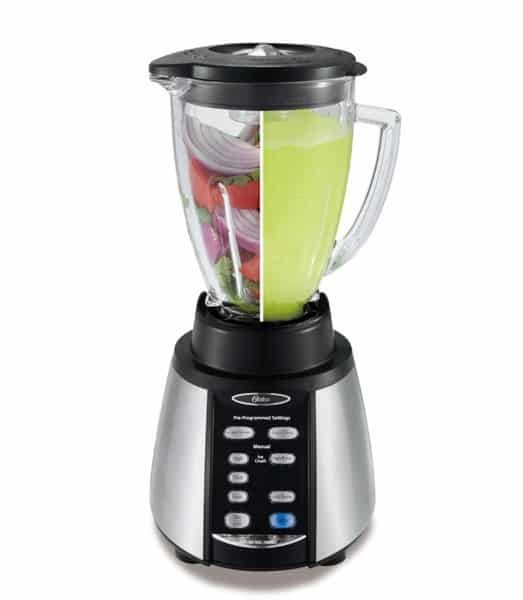 The solid metal base is durable and keeps the blender from moving mid-cycle. Has ice-crush presetting but not as versatile as other models. Modestly priced but high-quality and durable. Presettings allow for hands-free blending. 5-year limited warranty with good customer service. Pitcher is durable, lightweight, dishwasher safe and holds 60 ounces! Available in 20+ colors to coordinate with virtually any decor. Intellispeed motor senses content to maintain optimal speed. Narrow pitcher bottom may cause jams. 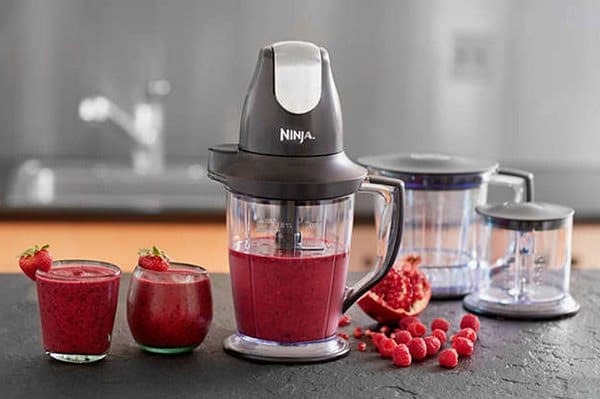 A jack of all trades, the Ninja Master Prep QB1004 has three different jars including a 48-ounce pitcher for frozen drinks, 40-ounce food processor and 16-ounce chopper bowl, each with their own stacked blade assemblies. And to top it off, this is one of the most modestly-priced blenders in our roundup! Versatile and all-in-one, but not as powerful as other options. Price for what you’re getting can’t be beat! User-friendly but does not offer presets. 1-year limited warranty and good customer service. Versatile with three separate units. Capable of tackling ice and making frozen drinks. Stacked blade assembly keeps ice and food from getting jammed. At 450 watts, the Ninja isn’t as powerful as other options so can’t handle nut butters or other more challenging ingredients. 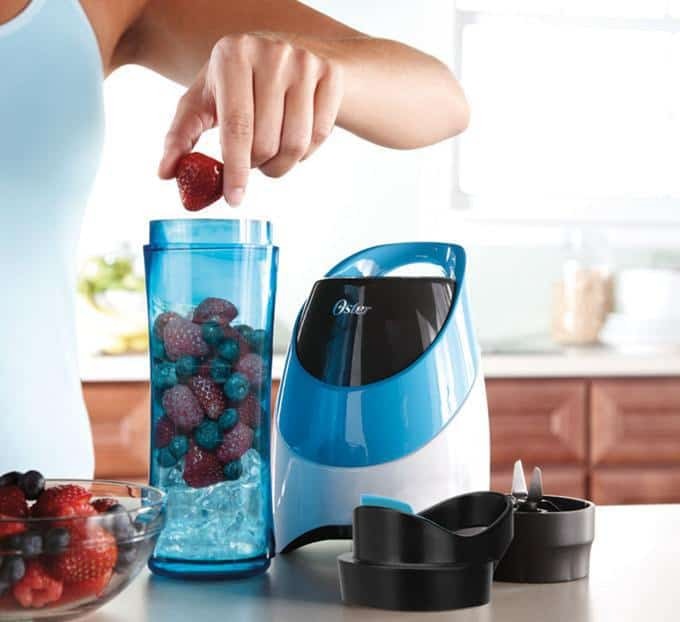 The Oster BLSTPB-WBL My Blend is a personal blender that’s designed for crushing ice and making smoothies, and features an innovative to-go sport travel bottle. This modestly-sized personal blender is the cheapest blender on our list, and offers good value for the money. Convenient single-serve, but only has one speed. Excellent single-serve blender that is convenient to use! Jar detaches and blades are replaced by a lid, meaning you can drink your smoothie on the run without having to dirty another bottle. Blade assembly and pitcher are more than capable of handling ice. 250-watt motor can handle ice in the single-serving size, but may not be up to frozen fruits or nuts. May overheat with prolonged use. 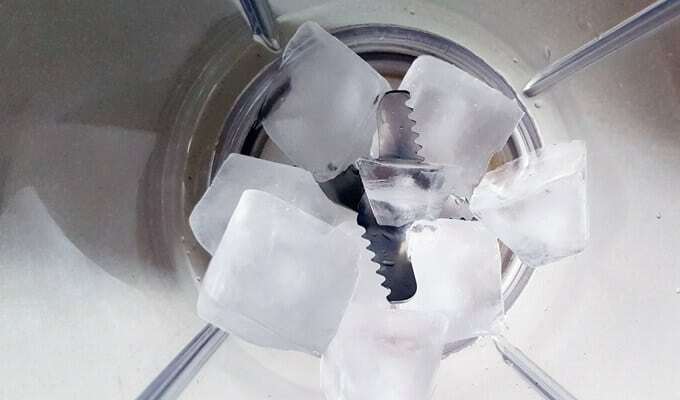 To chop ice with the Oster, allow ice to sit at room temperature for 5-10 minutes before beginning, and add a little bit of water or other liquid to the mix. Also be sure only fill the jar about ⅓ full. 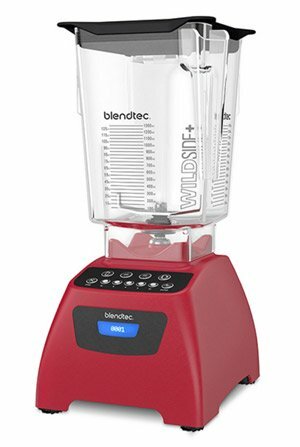 Of the high-end blenders, my pick is the Blendte﻿c Designer, as it’s known specifically for turning ice cubes into powdery, fluffy wonderfulness! If you’re rushing in the morning, you’ll find the programmed ice cycle to be very helpful for hands-free blending. 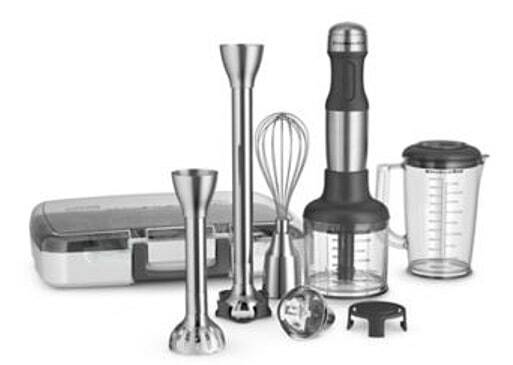 The right blender for you will depend upon your budget, how often you plan to use it, and whether you’re just wanting to process ice, or would also like to make more advanced recipes such as nut butters or soups.